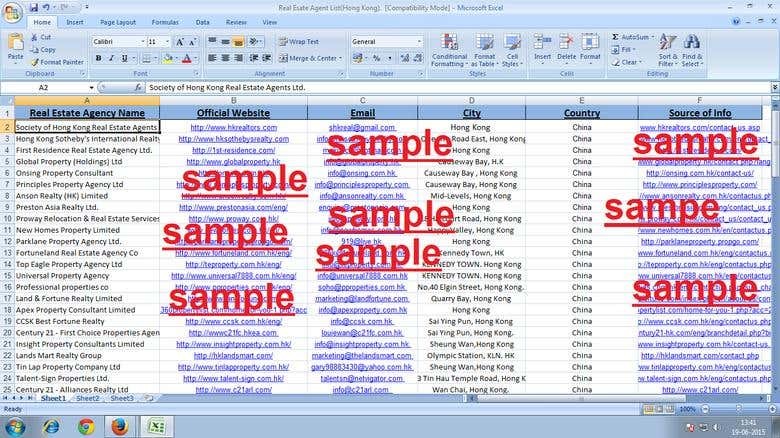 Real Estate Agent List(Hong Kong)! Database Creation! Real estate agent list(hong kong) with contact details and source of info.